Overview Calendar is a HotelRunner calendar which indicates the occupancy status of your property for specific periods. 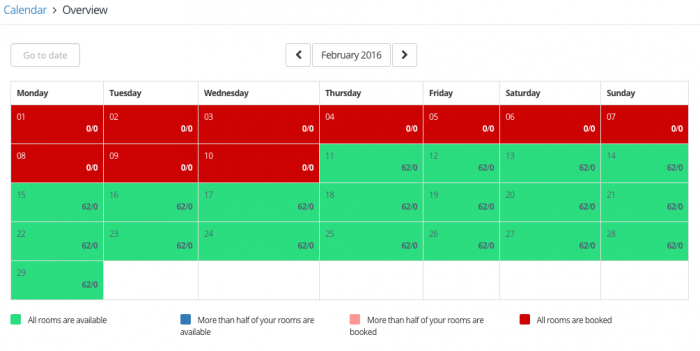 When you select a month on the overview calendar, you can view information like “The number of your available rooms”, “The number of your booked rooms” etc. The values displayed on Overview calendar are calculated based on the your sold or unsold rooms, with a focus to your total availability in the hotel.